To eliminate uncertainty, we use Xactimate® software to provide you with industry standard pricing. When damage occurs at your home or business, the unfortunate reality is that it’s going to cost money to get things back to normal. Abbotts Fire & Flood San Diego understands that this can be a stressful part of the repair and process, so we’ve taken the guesswork out of it by utilizing Xactimate. This industry-standard program is the same software used by insurance companies and property adjusters to calculate an estimate for any damages. The use of Xactimate ensures a fair pricing model for any repair and restoration needs of your home or business. 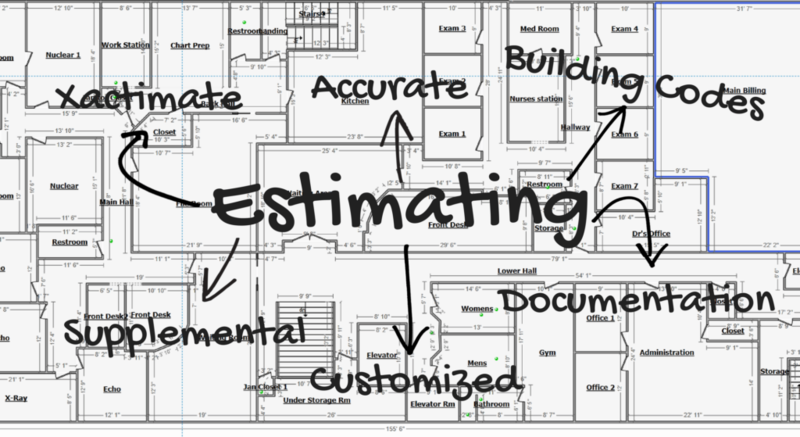 This software allows us to gather your loss information, detail the overall scope of the job, identify any related project costs, and verify the estimate’s accuracy. It also allows us to bill by the job rather than by the hour. We already know that our crew will not drag our feet to increase our profits, but billing by the job as a whole will ensure that you know this as well. The level of transparency made possible by Xactimate benefits everyone involved. Xactimate allows for an all-inclusive calculation based on industry standards rather than an hourly charge for construction. Our guarantee to each homeowner or business owner is a simple and accurate bill, one that provides exact details on the work done level by level, room by room. With the availability of drying logs, moisture maps, and detailed pictures, you will never be left guessing what work has been done to your property. Since our pricing model is based on the Xactimate software, we can ensure both accuracy and fairness. If another restoration company offers lower costs for the same quality, then they have missed something. We’re not knocking our competitors – we simply don’t want you to encounter any surprises. Dealing with a disaster is already stressful enough.